Penicillium mold is a common contaminant that causes food spoilage and is an indicator organism for indoor dampness. Penicillium molds with rapidly growing colonies have structures that resemble brushes and commonly have a strong musty odor. 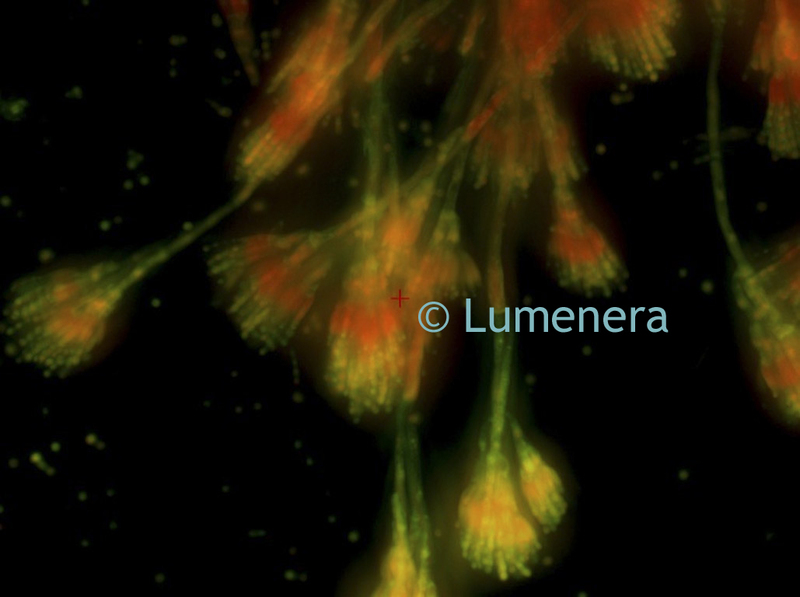 This image of penicillium mold was captured with a fluorescence microscope using the Lumenera Infinity 2-3 CCD microscope camera. Penicillium is one of the first fungi that grows on water-damaged materials, and can often be found in air conditioning ducts or places where insulation is moist for extended periods of time. Allergic reactions to Penicillium mold include hypersensitivity pneumonitis, and a variety of severe lung complications. It may cause sarcoidosis and fibrosis. 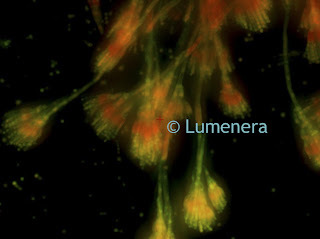 Some species of Penicillium are beneficial to humans. Cheese such as Roquefort, Brie, Camembert, and Stilton are ripened with species of Penicillium and are safe to eat. The drug penicillin is produced by Penicillium Chrysogenum, a commonly occurring mold in most homes.